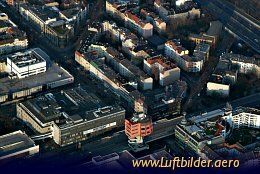 The ''Bierpinsel'' (beer brush) is an 46m high building in Berlins district Steglitz. The building has three floors equipped with restaurants and a night club. View from the center of Berlin to the South, the ''Steglitzer Kreisel'' at the back. 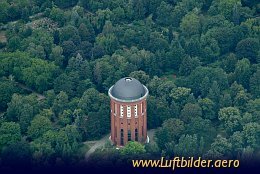 The Steglitz Watertower is located on area of the Steglitz cemetary. It was built to insure the independent water supply for Steglitz. 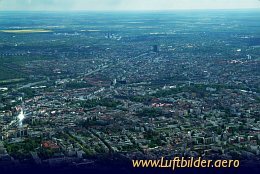 In 1920 Steglitz became a district of Berlin and no need for a separate water supply existed anymore. The tower remained mainly unused. During World War II is was used as flak observation tower. Today it is used as a monument.